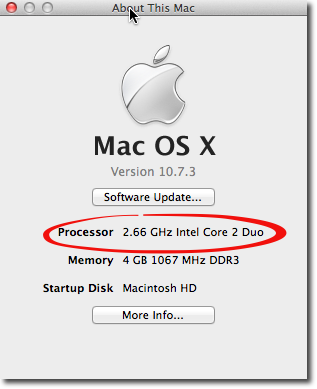 Your Mac is 6 years old or newer, you probably have an Intel Core 2 Duo processor or and Intel Xenon processor, which can run 64-bit applications. You must be running OS X 10.6.x, Snow Leopard, or newer as well. Why do you care? For more on that, read Why is 64 bit better? To know for sure where you stand, below is a chart, courtesy of Apple's support documentation that describes which processor supports 32 and/or 64 bit. 1. 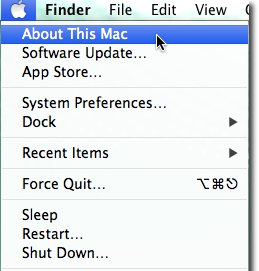 Go to the Apple Menu in the upper left corner of your screen and select "About This Mac" from the menu.